Don't forget about my 2 current giveaways! Handmade by Nikki enter to win a gorgeous necklace -- and 3 Free Sponserships and dedicated posts to your blog/shop!! Today we have a special treat!!! A guest post by Lori from Paisley Passions! Hello all of KdBuggie Boutique followers! I am super excited to be guest hosting over here today! It is always so much fun to meet new people out here in blogland :) I hope that you will take a quick minute to pop on over to my blog, Paisley Passions and say hi! I would love to meet you! A quick intro of myself and then on to some fun! I am wife and a mother of 5. I have been out in blogland for a couple of years now, but I just started my Paisley Passions blog a little less than a month ago. I am a returning college student who will graduate with my BS in Elementary Education with an ELL endorsement in December 2011. I can hardly wait! Then I flipped the holder on its side and added ribbon, scrapbook paper, gems, etc. I found some cute little spoons in the craft store. They were over by the glitter. They are just like the sample spoons you get at an ice cream place. I punched a hole in the end of each spoon and added a piece of ribbon and a gem. 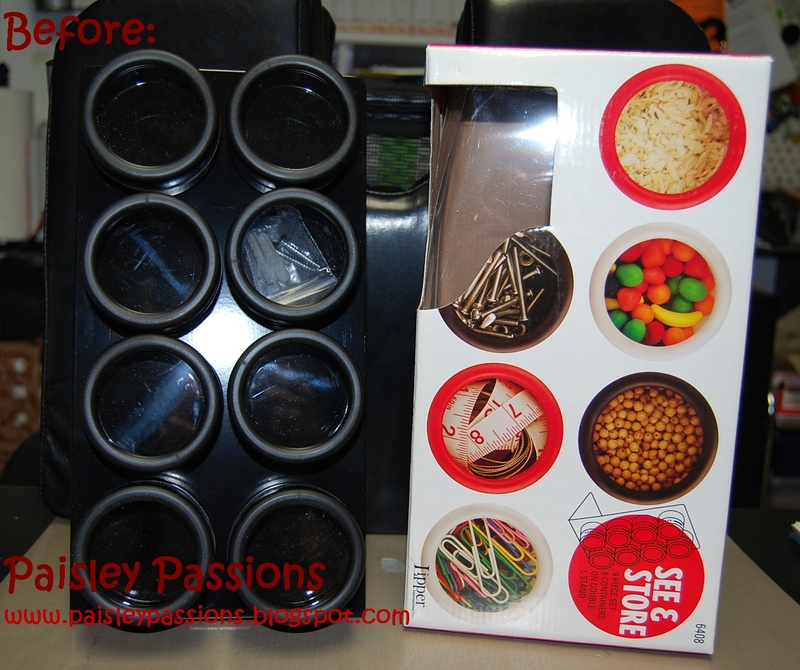 Then I put them in a container on the back of the holder. 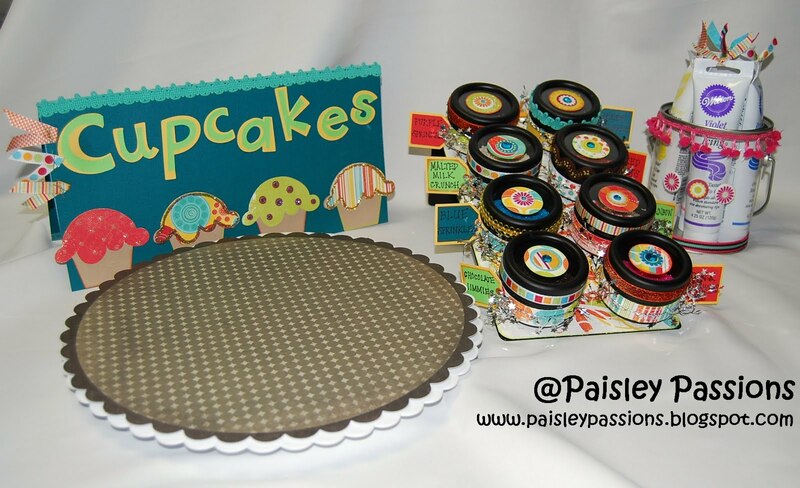 I cut out a cute little sign on my Cricut and filled the containers with fun cupcake toppings. Now everyone can add their own decorations to their cupcakes. 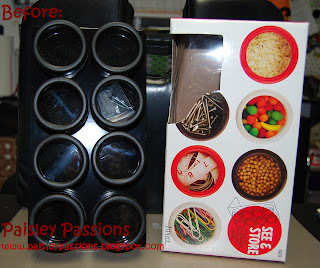 This also works great for ice cream toppings and cookie toppings too! Now that is a cute idea! Love it. Now, I just have to remember to do it! I'm on a Tuesday Tag Along. New follower. Wow! Those are SO cute! You are very talented. Following you! Please follow me too and have a great day! I love this idea! I'm visiting from Meet Me Monday. I signed up as a new email subscriber. I'm already a follower. Just wanted to say hi. I just found your blog. You have a great blog. They are really adorable. Cupcake decoration can really make it more enticing and tempting to munch on.